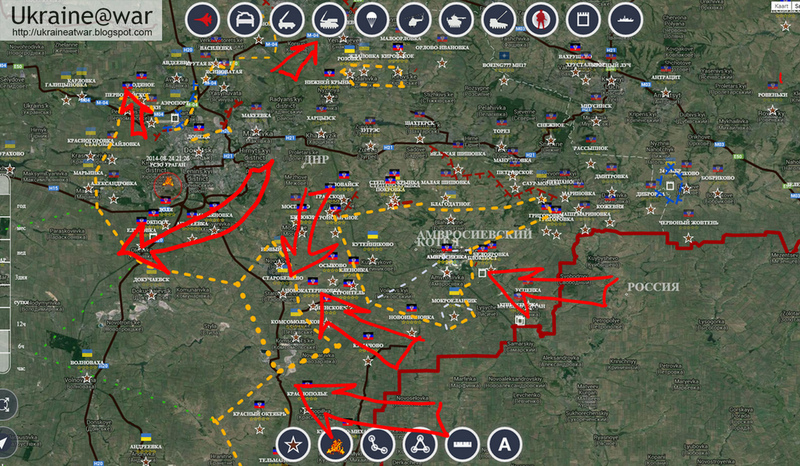 For days in a row the Russian (Propaganda) militarymaps.info shows big advances on all fronts that can not be ignored. While Ukraine is reporting about large numbers of Russian troops being destroyed, this may only be half of the truth. 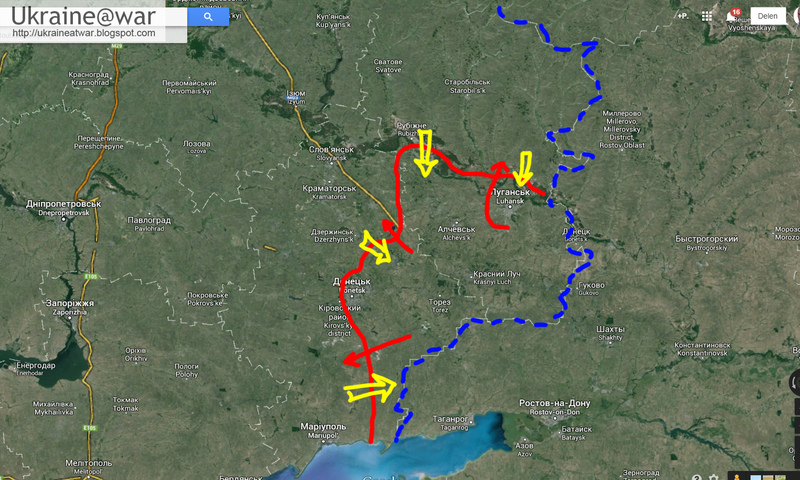 If even larger numbers of Russian troops flood the area, it is not a victory! While the world was watching the White Truck Charade entering Ukraine at Izvarino border crossing, large numbers of Russian forces entered on all border crossings in the conflict zone. On August 24th the world watched at Ukraines Independence Day with a big military show off in Kiev. There was another 'counter display' of Ukrainian POWs to watch in Donetsk. On this day Russia started to attack and advance into Ukraine south of the conflict-zone into the direction of Mariupol. All this means a turning point in the conflict. Russia is now fighting openly with its regular army and is pushing Ukraine back into the defense, if not overrunning it. 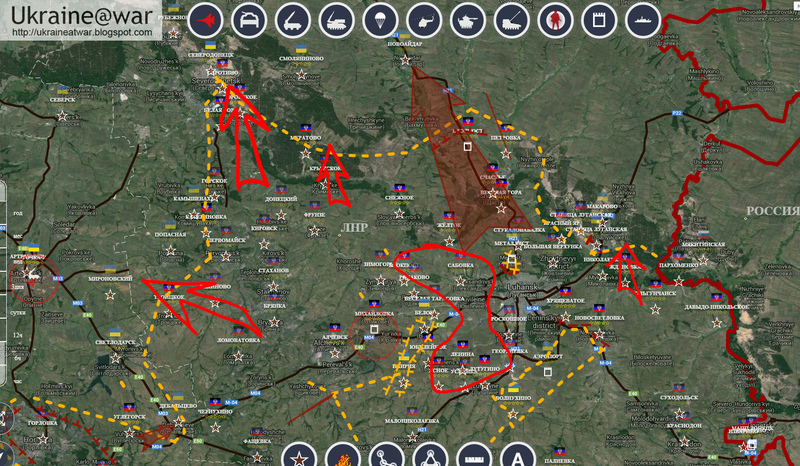 Battalion "#Shakhtar" reports #Russian terrorists have again fiercely advanced on #Olenivka, #Andriivka, #Lyubivka, #Volnovakha directions. Not even all of them are shown on Militarymap yet! It means only one thing: The entire region between Donetsk and Mariupol in the south is threatened and Ukraine is in big trouble, because many troops are being cut of and will face to be completely destroyed and/or they have to fight their way out. DPR claims its forces have encircled a 7,000-strong Ukrainian force in the area of Ilovaysk. Don't try to gain ground. Let the Russian army advance. Once they do that Ukraine is able to counterattack all such attacks that previously came from Russian territory and therefor could not be countered. Create killing zones for the advancing units and keep destroying them. Lugansk airport has to be destroyed in such a way that it's runways are not usable anymore. Now that Russia is attacking Ukraine OUTSIDE of the conflict zone, it means August 24th, Ukraine's Independence day will go into the history books as the day that the proxy war with Russia changed into an open war. 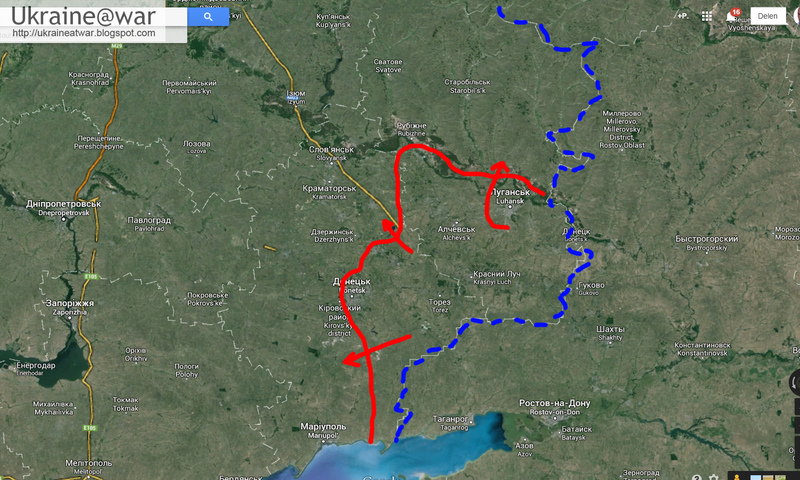 Apparently Russia is putting together another humanitarian convoy for E Ukraine. 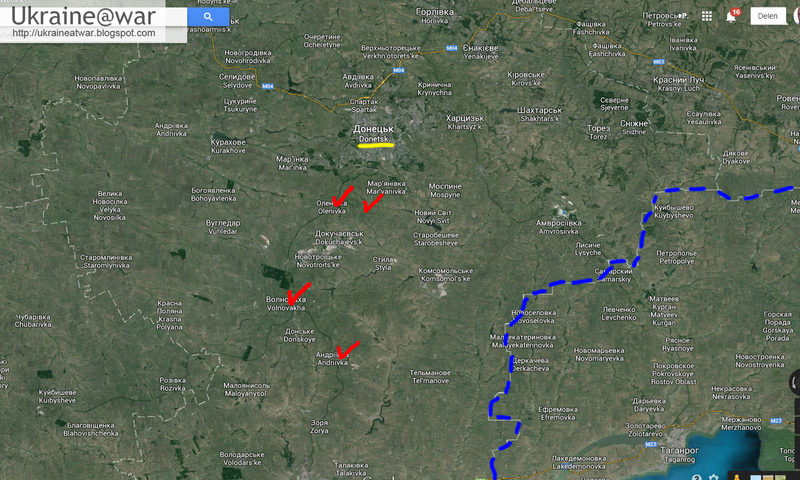 Also see: Russian T-72s spotted and geolocated in Torez.